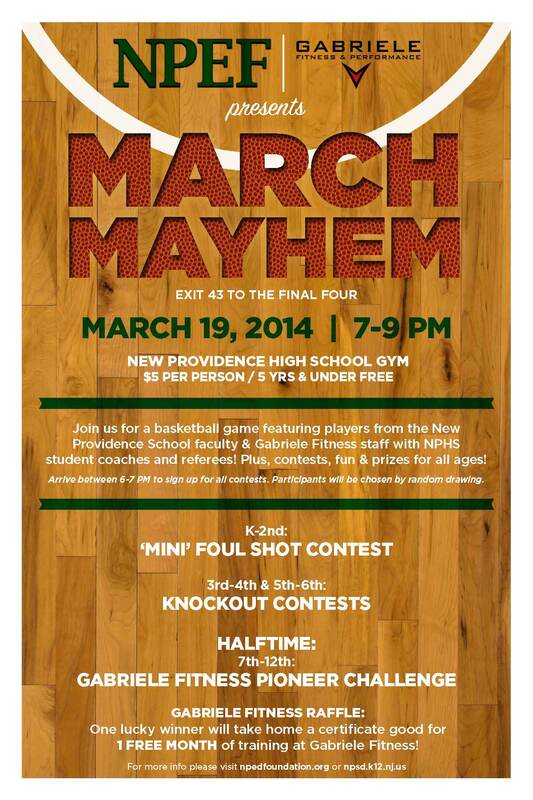 Join NPEF and Gabriele Fitness & Performance on Wednesday, March 19 for the annual March Mayhem basketball game! And the highlight: At halftime students in grades 7-12 will compete in the GFP Pioneer Challenge! Prizes will be handed out during the competition. If you want to join one of the competitions, please arrive between 6 and 7pm to sign up.